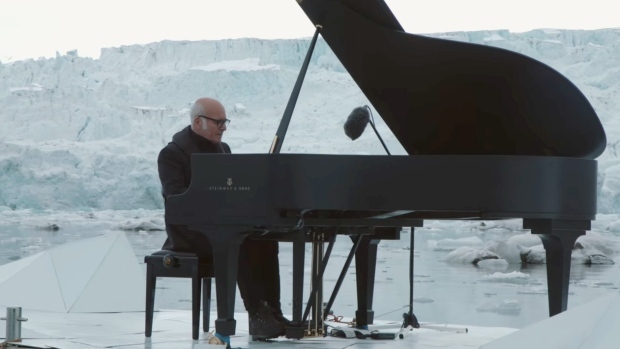 60 year-old Italian composer and pianist Ludovico Einaudi performed his composition “Elegy for the Arctic” last Friday in the Svalbard islands in Norway facing sub-zero temperatures. A grand piano standing majestically in the middle of melting icebergs is surely not a common sight. Yet, it is not only for the pleasure of the eye or the ear that Greenpeace ice breaking vessel Arctic Sunrise brought the musician against the backdrop of the Walhlenbergbreen glacier. This unique performance on a platform floating on the Arctic Ocean was part of a campaign to protect the Arctic environment and send a conservation message to world leaders. “Being here has been a great experience. I could see the purity and fragility of this area with my own eyes. 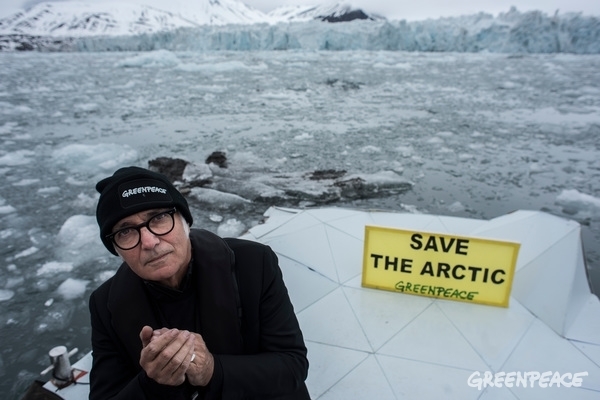 It is important that we understand the importance of the Arctic, stop the process of destruction and protect it.” Einaudi said in a statement. The video was released on Tuesday to mark the start of the four-day meeting of the OSPAR Commission in Tenerife, Spain. OSPAR consists of 15 governments of the EU seeking to protect the marine environment of the North-East Atlantic. According to Greenpeace, the Arctic is warming faster than any other place in the world with a continuing loss of sea ice volume. As we watch this haunting performance accompanied by eerie sounds due to icebergs movements slowly melting with ice chunks crumbling and falling in the Ocean, let us not forget that we are witnessing the spectacular yet dramatic effects of rising temperatures. The Greenpeace petition to protect the Arctic sea is online here.